The type of wood is listed on the bottom from the center out. 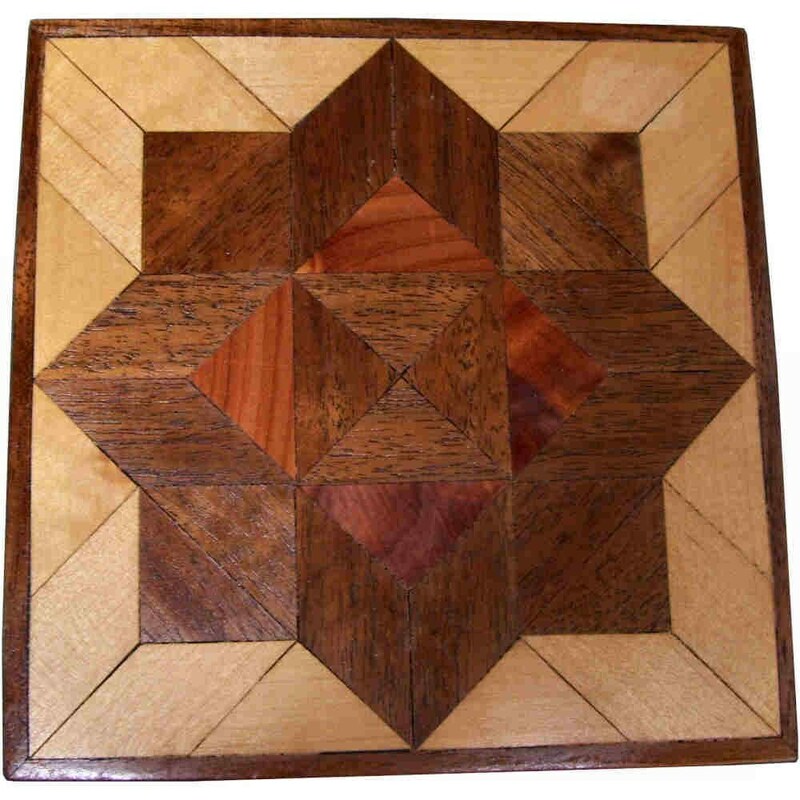 On this quilt block the wood is “Walnut”, “Cedar” and “Birch” from Missouri. I made this quilt block in 1988. On the bottom I signed it, listed the wood, and dated it. It has a hanger on the back.